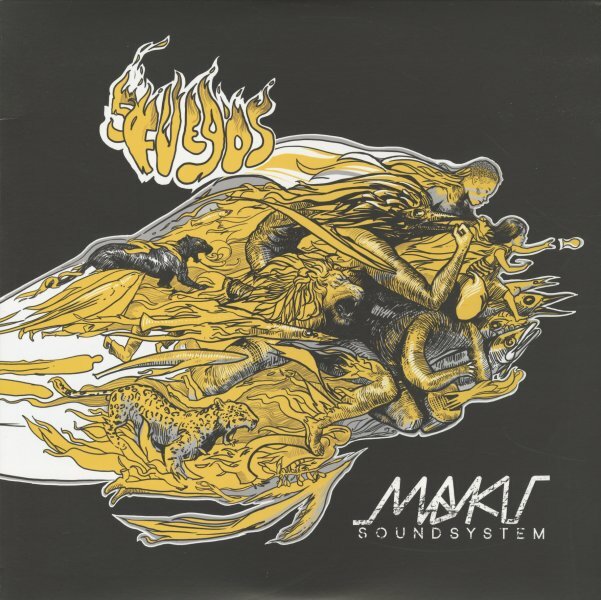 Maku Soundsystem have a really great mix of modes – many elements that echo the Colombian roots of most group members, but fused strongly through New York modes that reflect their home of the past few years! Somewhere in the background, you'll hear echoes of cumbia and other Latin styles – but the delivery is often very different, with frenzied guitar, super-fast percussion, and lots of unusual production that abstracts both the vocals and instrumentation – all in an expansive way that definitely lives up to the promise of a "soundsystem". Titles include "Llama", "Yemaya", "Combate", "Por Encima", and "Machete" – and the album also features great instrumental versions of "Combate" and "Llama". © 1996-2019, Dusty Groove, Inc.